Inspired by the open-access movement, institutional repositories showcase all manner of scholarly communication and disseminate it worldwide for free. YAIR evolved from the University’s strategic plan and its Faculty Excellence and Development Committee as a means to cultivate appreciation of faculty and student scholarship and creativity. 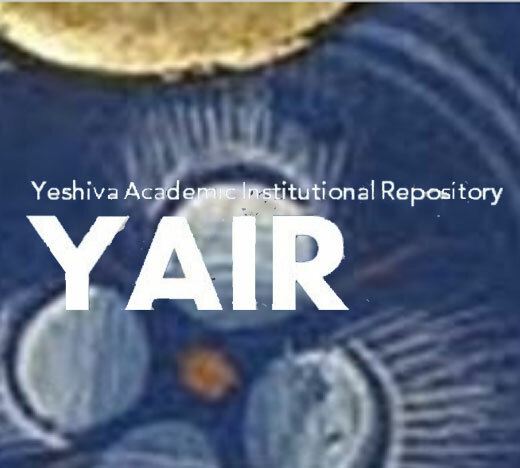 A perpetual digital platform with a global reach, YAIR welcomes submissions by faculty, students and staff of scholarly articles and preprints, electronic theses and dissertations, conference papers, literary works, visual art images, music scores and videos. In aggregating all genres of University scholarly and creative work into one easily searched digital platform, YAIR can grow into an online arena that not only promotes the work of individuals but also enhances the reputation of the University. Hao Zeng, head of library web services and digital services, designed YAIR using the application DSpace, and Stephanie Gross, electronic reserves and scholarly communication librarian, will oversee metadata creation to ensure successful discovery of YAIR material by a global audience. Submit your work to YAIR here. For more information, contact Paul Glassman, director of University libraries, at paul.glassman@yu.edu.